Team Finland USA network strengthens Finland’s economic relationships abroad, supports the internationalization of the Finnish companies and encourages investing in Finnish industries. In addition, Team Finland USA network strengthens Finland’s positive national image, which, in turn, supports Finland’s commercial activity in the United States. The goal of Team Finland USA network is to grow Finland’s economic influence on the global and regional level, as well as to promote goods and services trade and bilateral investing between Finland and the United States. Team Finland USA network aims to fortify Finland’s image as a leading economy that concentrates on know-how and innovation, making intelligent decisions specifically tailored to the needs of the 21st century. 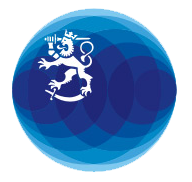 It strives to advance the cooperation between businesses and research organizations, as well as to bring new research and development activity to Finland. Team Finland USA network recognizes the trends and opportunities that arise in United States markets, supports the Finnish companies in their internationalization process, and offers training and assistance in order to facilitate their access to the market. The network also helps Finnish startups to get funding in the Unites States and assists them in reaching the markets. Finland’s strong and positive national image serves as a solid ground for the activity of Team Finland USA network. The purpose of the national image work and communicating about Finland’s excellence and strengths is to create a beneficial environment for Team Finland USA network’s activity of both in the trade and culture sectors. Office of Defense Attaché in Washington DC. Team Finland USA network cooperates closely with its US partners such as the Finnish-American Chambers of Commerce, Finnish honorary consulates in the United States and the Finnish Cultural Institute in New York. Mailiina Turanlahti (mailiina.turanlahti (at) businessfinland.fi), National Manger of Business Finland, acts as the TF coordinator in the United States.